If you are newbies to website coding or website designing, here is the good start up for you. Easy to get on hand. The best is NO CODING is needed. What you can do is just DRAG&DROP the elements that you want for your website, you just need to build ONE website and it will fit into any other screens automatically. In another word, all the templates are responsive. 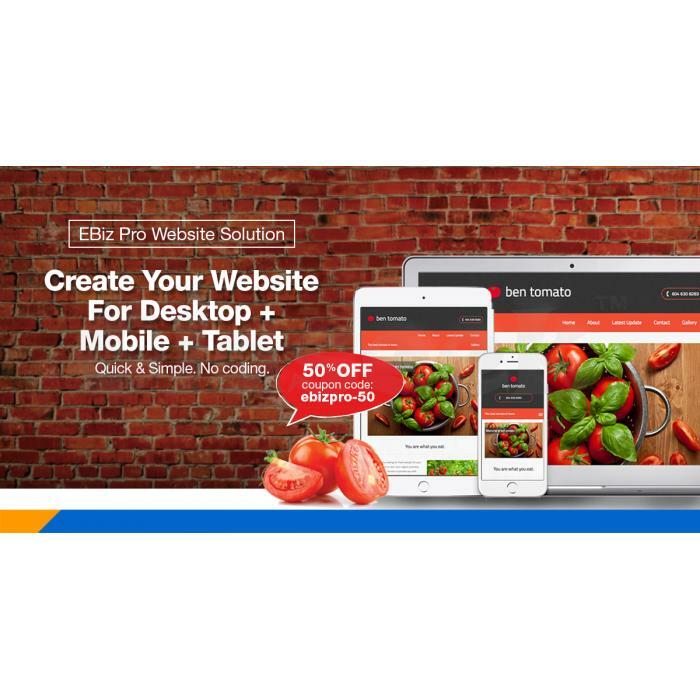 Try now and get the discount code "ebizpro-50" on limited promotion period. 1-18-8, Suntech @ Penang Cybercity, Lintang Mayang Pasir 3, 11950 Bayan Baru , Penang.